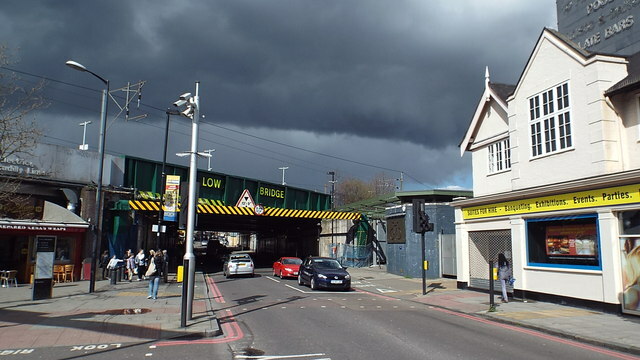 Stroud Green Road passes under a low bridge. The bridge carries the East Coast main line from London's King's Cross station northwards towards Yorkshire, North East England and Scotland. A protective beam has been placed ahead of the bridge. Any vehicles which are too high to pass beneath the bridge will hit the beam, rather than the bridge itself. The dark clouds threatened rain.